I've got another 2 new Hard Candy polishes from my mini haul the other day. Here's 2 coats of both 'Pixie Pink' & 'Peach Pop' ! 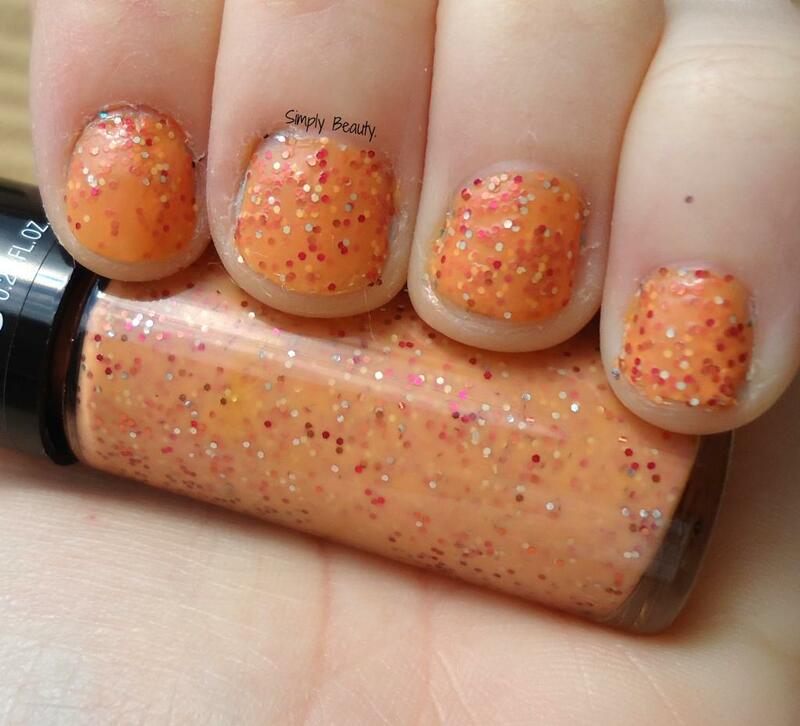 'Peach Pop' is a pastel orange, base with teeeeny gold, red, & orange hexagonal glitter. So far, I'm uber pleased with Hard Candy! These are both really pretty! oooh i love peach pop!